Add texture and depth to a wall in your home with a unique clock made by artisan glass designers. 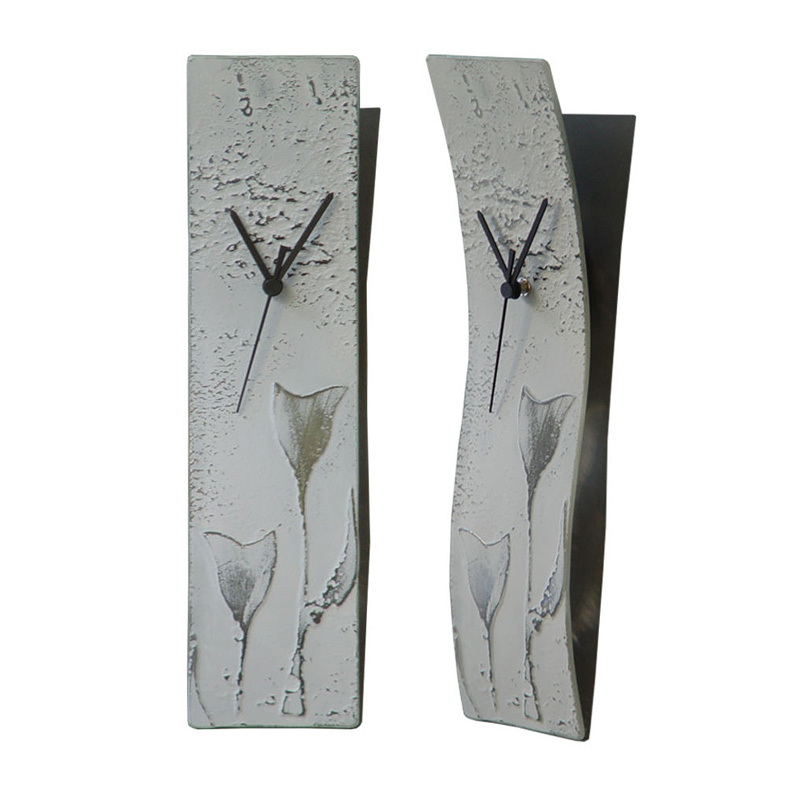 This beautiful décor piece features a rectangular shape of softly flowing curves with a raised design of tulips in the clear glass with the grey painted finish to the clock as well. The clock face has no numbers and a set of elegant black hands indicate the time. Grey tones look stunning against a jet black or bold orange wall - great for a trendy in-city apartment. Size W10cm x H41cm.